I was looking through the recipes I have posted so far, and couldn’t believe I hadn’t posted my tortilla pie recipe… Hubby LOVES it! Brown the mince in a saucepan, then add in the salsa, beans and corn. Cook until heated through. 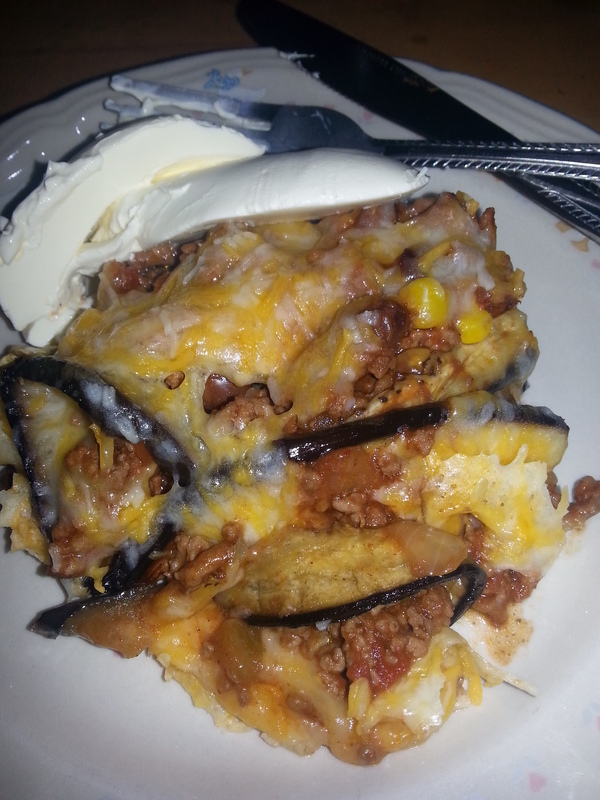 Layer the mince and tortillas in a round casserole dish and sprinkle with grated cheese. Pop into a pre-heated moderate oven for about 15-20mins until the cheese has melted and started to brown. Remove from oven and stand for 5-10 mins before serving. I usually serve this with a big dollop of sour cream…. This dish freezes really well – I cut up the leftovers into portions and freeze for lunches. 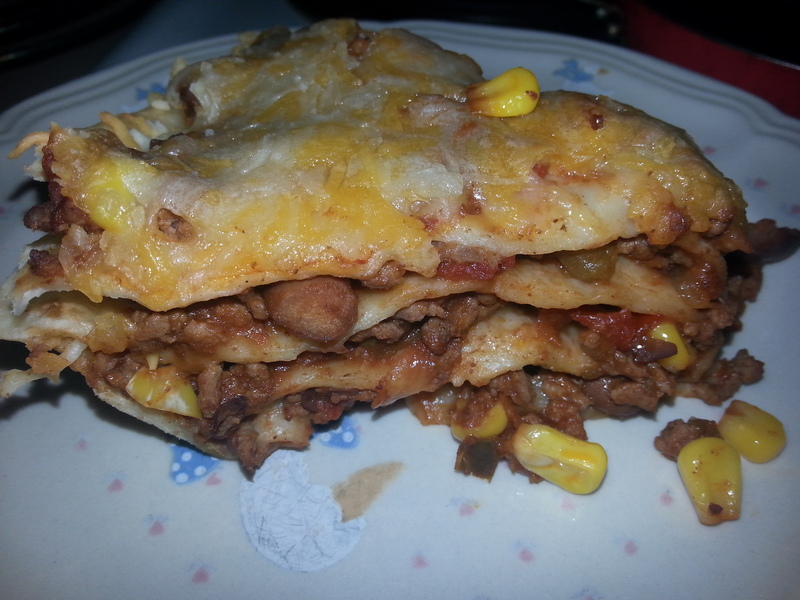 Enchiladas – Roll up the prepared mince in the tortillas. Make a sauce out of equal quantities of tomato salsa and tomato passata mixed together. Spread some of the sauce over the base of a large baking tray. Place the enchiladas on top. Top with the remainder of the sauce and sprinkle with grated cheese. Bake in a moderate oven for about 20mins until cheese is melted. Baked potatoes – Top the baked potatoes with the tortilla mince, sprinkle with cheese and serve with sour cream and chopped chives. Ramekin pies – Grease ramekins, press a tortilla into the ramekin and fill with tortilla mince. Top with mashed sweet potato and grated cheese. pop in the oven until cheese has melted . Eggplant Rolls (LCHF friendly) – Grill long (lengthwise) slices of eggplant until lightly browned. Cool slightly. Place mince mixture along the middle of each eggplant slice. Roll up and place in an ovenproof dish. Top with cheese and bake in oven until cheese is melted. As always, serve with a big dollop of sour cream!